The culture of government has displaced the culture of personal responsibility. Florida's young Republican Sen. Marco Rubio recently gave an important speech at the Reagan Presidential Library in California that has set off the liberal talking-head universe. He had the temerity to suggest that the huge growth in government's role in American life over the last century "actually weakened us as a people." The resulting onslaught from liberal blogs and cable hosts comes as no surprise because Rubio directly took on the idol at which liberals worship -- Big Government. But his analysis was courageous and profound. Eighty percent of Americans are not happy with the direction of the country. And, new Gallup polling shows that only 17 percent are positively disposed toward the federal government. 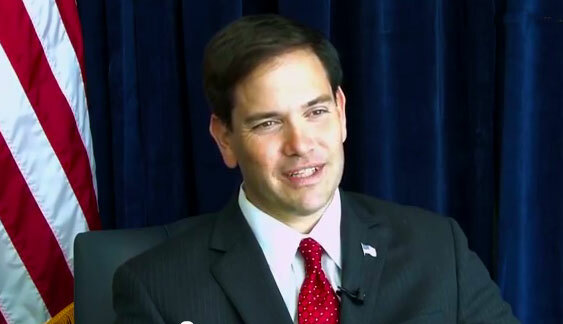 Rubio, in this speech, stepped up to the plate to provide answers. If liberals disagree, they are going to have to get equally serious. They've certainly got to do better than MSNBC's Ed Schultz, calling Rubio "a political hack" who wants "to get rid of social safety nets." Our fiscal crisis is undeniable. The trillions in debt we've taken on to finance massive government spending has resulted in the unthinkable rating downgrade of our government's bonds. But Rubio took a bold step beyond looking at our problems just as an accountant would. He suggested that we cannot separate our budget from our culture. The culture of government has displaced the culture of personal responsibility. I have been making that point for years regarding what the welfare state culture has done in our black communities. How it has created a permanent underclass, defined by family breakdown, sexual promiscuity, disease and crime. American culture has changed profoundly over these years as Americans have come increasingly to believe that government social engineering can solve life's problems and challenges. -- Since 1980, the percentage of babies in America born to unwed mothers has doubled, from 20 percent to 40 percent. -- Fifty-two percent of Americans over the age of 18 are married today, compared to 72 percent in 1960. -- Among blacks, 44 percent of the population over 18 has never been married, compared to 17 percent in 1960. -- Sixty four percent of American children today live in a home with two married parents, compared with 75 percent in 1980 and 87 percent in 1960. -- And, according to the Pew Research Center, 44 percent of those between ages of 18 to 29 "agree marriage is becoming obsolete." We used to be a nation, as Rubio pointed out, where parents raised and cared for children, then those children cared for their aging parents. Where neighbors cared for neighbors. We might note that the welfare state idea is not an American invention but an import from Europe. We also might note that about 20 percent of Europeans attend church regularly, half that of Americans. Europe is characterized today by low birth rates -- so low that they are not replacing themselves -- and high unemployment rates. The unemployment rate in France has hovered between 8 percent and 11 percent over the last 25 years. We must wonder if even we can take on our fiscal problems, if traditional American family life can be restored, and if we believe it even matters. It is to Rubio's considerable credit that he has stood up to argue that we must look at the picture of our nation in its entirety. That we cannot separate our budget matters and our attitude toward government from our overall culture and our personal behavior. What is before us today is not a battle of competing numbers but a battle of competing visions. Is America to continue in the direction of welfare state materialism? Or will this be a free nation under God?